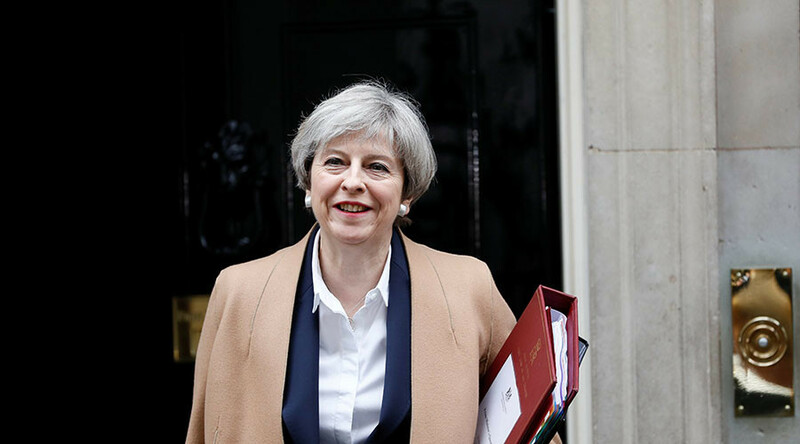 Prime Minister Theresa May has pulled an extraordinary U-turn by backing down from her “dementia tax” policy just four days after making it the center of her election manifesto. May’s change of heart, which came amid fierce protests and a slash in the Tories’ lead over Labour in the polls, means the Conservatives will now set an “absolute limit” for what people will have to pay for social care. Just last Thursday, May threw out plans for a cap. The Tories suffered from negative reactions to their social care plans over the weekend. The policy, dubbed the ‘dementia tax,’ would mean elderly people would have to pay for care in their own home if they had total assets of £100,000 or more. Jeremy Hunt told @bbcnickrobinson last week Tories were dropping social care cap plan cos it was not 'fair'. May announced the humiliating U-turn at the launch of the Welsh Conservatives’ manifesto in Wrexham on Monday, claiming she needed to clarify that there would be a cap because of attacks made by Jeremy Corbyn. “We have not changed the principles of the policies we set out in our manifesto,” she claimed. May has been barraging voters with the idea that she and her party are Britain’s “strong and stable” option, but many people have been pointing out that pulling such a dramatic U-turn does not seem to reflect this mantra. “This is not strong and stable. It’s panic and u-turn,” he tweeted. This is @Theresa_May's manifesto meltdown. This is not strong and stable. It's panic and u-turn. Over the weekend, it appeared as though the Tories were attempting to limit fallout from the ‘dementia tax’ by preventing people from reading about it. According to the Independent, the party spent thousands of pounds to place ads at the top of Google searches for “dementia tax” that direct people to a special page on the Tory’s website. Underneath the ad is an array of news stories written about the dementia tax, all of which are negative. The dementia tax has been partly blamed for the Tories’ shrinking lead over Labour, which has fallen into single figures since the Conservative manifesto was announced.